Navigate the insurance claims billing and reimbursement process with ease, and maximize your financial advantage ethically and efficiently. This online seminar will help you understand how to join provider networks, what to expect as a network provider, and how to most effectively bill for your services either as an in-network or an out-of-network provider. Taught and regularly updated by an expert in the field. determine patient benefit and know reimbursement expected from the insurance company and patient before your claim is processed. Pros and cons to joining insurance networks and the process to join if you choose to. How to join networks with Private Payers, and how to Validate/Re-Validate with Medicare. What to expect as a participating provider with Medicare versus non-participating. How to handle “unspecified” and “Acute Injury” codes specific to Chiropractic. Covers most common CPT codes for Chiropractic, as well as how to accurately report timed therapy codes to avoid multiple therapy reductions. Learn how to determine whether or not you have the appropriate amount of diagnoses to support the CPT codes reported. American Specialty Health structure, how to navigate their processes, and resources. Learn what they are looking for on their “MNR” and how to determine if the care you are requesting will be considered a covered benefit of the patient’s plan. 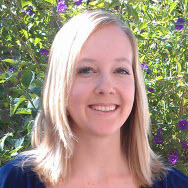 Emma Calkins is a Medical Billing & Coding Specialist with over ten years of experience in the field. She was raised by a Chiropractor and a medical biller, and remembers tearing the sides off of triplicate HCFAs (remember those?) to make them into bracelets as a child. It seemed natural to become a certified Medical Billing & Coding Specialist, and she quickly realized a true passion for getting healthcare providers payment for their services. After working in medical offices and for an insurance company she understood the need for quality, affordable medical billing services. This need arose from the steady decline in fee schedules along with an increased burden on those providers due to changes in healthcare law. As Founder and President of In Charge Office Solutions, Ms. Calkins set out to fill that need, alleviate some burden from the medical office, and is involved in every aspect of the company to ensure that quality is maintained.